‘Not Goodbye’ is a heart-warming comedy, fusing movement, dance and mime to tell the relatable story of a mother and her daughter, exploring the joys and frustrations of life that they share over a period of 25 years. As daily pressures build and tragedy strikes their family, both women must find a way to communicate and understand one other in order to find a balance between support and independence. 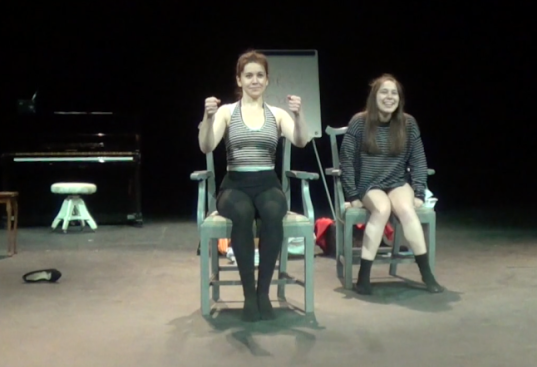 The piece conveys the familiar, funny and sometimes heartbreaking relationship between a mother and daughter by presenting a scrapbook of shared moments, using only dance, live and recorded music, mime and movement.